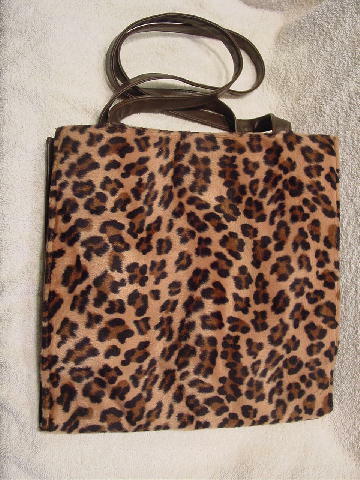 This dark brown simulated leather PVC purse has a brushed fabric front in an animal print. 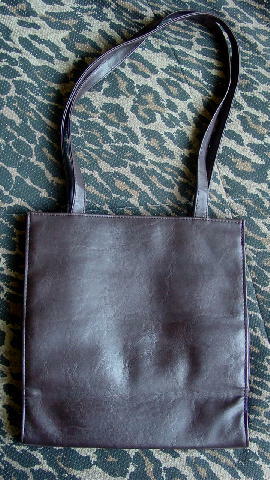 There are two 28" by 3/4" long handles and the interior has a burnt umber fabric lining with an interior zippered pocket. It has an interior one snap closure.